Super Loads scare a lot of companies, but we prefer them. Our expert team handles them with precision and dedication! 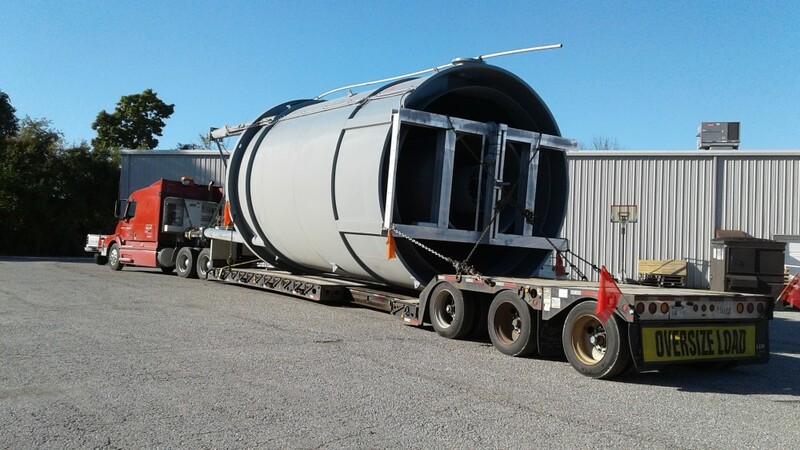 Just take a look at our most recent shipment of the month, where we moved a Thickening Tank measuring at 37’ long and 14’ 8” diameter from Indiana to British Columbia. The shipment required a stretch double drop trailer, pole cars, escorts and a pre survey. This shipment was another success for our project logistics team!